The best of both worlds from Oahu “the meeting place” with historic Pearl Harbor to tranquil beaches, flourishing rainforests, flowing waterfalls and dramatic seascapes on Maui’s north-eastern windward side. Carefully designed itineraries feature a range of accommodation that can be tailor-made to your exact requirements. Aloha and welcome to Oahu! Upon arrival at Honolulu International Airport, you will be met with traditional flower lei and assisted through baggage claim. Pick up your rental car and drive to your hotel. The remainder of the day is at your leisure to explore this fascinating Island. No cost option: Seat in coach transfers can be arranged to/from Honolulu Airport and the Hotel. It is also possible to pick up the rental car on Day 2 in Waikiki and drop off on Day 4 at Honolulu Airport. Attractions you may wish to explore in Central Oahu include the Dole Plantation, the Hawaii Plantation Village, where you can learn about Oahu’s plantation past, and Aloha Stadium, site of University of Hawaii football games and annual site of the NFL Pro Bowl. But the most important landmark sits to the south in historic Pearl Harbor. This active naval base is home to five Pearl Harbor Historic Sites: The USS Arizona Memorial, the USS Battleship Missouri Memorial, the USS Bowfin Submarine Museum & Park, the Pacific Aviation Museum and the USS Oklahoma Memorial. Take a short drive from Waikiki and Honolulu over the mountainous Pali Highway to the lush country landscape and white sand beaches of Oahu’s Windward Coast. On the way, be sure to stop at the historic Nuuanu Pali Lookout for a breath taking preview of the beauty yet to come. As you exit the tunnels of the Koolau Mountain Range, you enter another world; Kailua, a thriving beach town where you’ll find a host of eats, trendy local shops and a crescent beach that looks like it belongs in a magazine. From Kailua town, you can head in two directions. Go clockwise around the island to Sea Life Park, Makapuu Lighthouse, Hanauma Nature Preserve and eventually Diamond Head and Waikiki. Alternatively spend a day exploring the Windward Coast in a counter clockwise direction as it winds lazily around the island toward the North Shore, offering interesting stops along the way. The serene Valley of the Temples is home to an amazing Japanese Buddhist temple, while the café at nearby Heeia Kea Pier is known for a farm to table menu. Driving along the two-lane highway you can’t miss Mokolii, stop at the park and stretch your legs. Just across the highway is Kualoa Ranch that has provided the backdrop for countless movies and TV shows, including LOST and Hawaii Five-0. Visitors and locals alike enjoy horseback riding, ATV tours and host of other activities. From here, Kamehameha Highway meanders past Kaaawa (“Ka-ah-ah-vah”), gentle Kahana Bay, Laie with the Polynesian Cultural Center, the old plantation town of Kahuku and around the northernmost tip of the island to Oahu’s North Shore, home of the best surf spots in Hawai’i. Return your rental car to Honolulu Airport. Board your inter-island flight from Honolulu Airport to Kapalua Airport. Pick up your rental car and drive for 10-minutes to your hotel. In the late afternoon drive to the Ka’anapali Beach Hotel, parking is complimentary. Board Trilogy IV a 54 foot sloop-rigged catamaran where you will enjoy a beautiful sunset sail. An assortment of hot and cold appetizers will be served along with beverages to include sodas, juices, filtered water, beer and a champagne toast. Captain and crew will point out all points of interest along the way as you watch the sun slip into the Pacific Ocean. 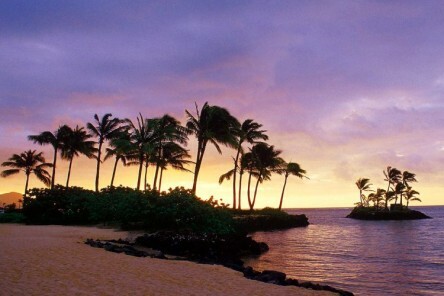 West Maui is home to amazing resorts, shopping, restaurants and a wealth of activities. 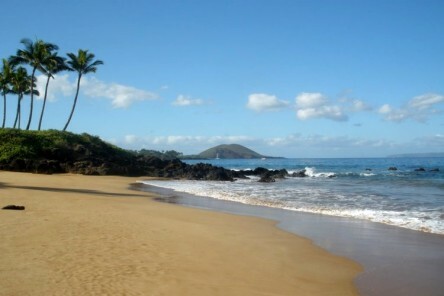 Spend the day beach hopping through Kapalua and Kaanapali before snorkelling or scuba diving at Honolua Bay. You’ll want to be in Lahaina before dark so you can spend some time exploring the historic whaling town before choosing a restaurant for a sunset dinner. This morning drive to Ma’alaea Harbor and board Trilogy V a 54 foot sloop-rigged catamaran. Enjoy a one hour sail to Molokini Crater, the first snorkel and dive site that you will visit today. Take a personalized snorkel tour led by a marine naturalist (all snorkel gear and flotation devices are provided). Sail to a second, remote dive site for more snorkelling in this underwater wonderland (CB, L). In the afternoon you may wish to carry on along the sunniest, driest area of Maui on the peaceful south-western coast; blessed with miles of sandy beaches and clear views of Lanai, Molokini and Kahoolawe. Explore the immersive underwater aquarium at the Maui Ocean Center in the whale-friendly Maalaea Bay before heading to Makena Beach State Park. Most visitors will begin their holiday here in Central Maui, arriving at Kahului Airport. Visit historic and sacred sites like Iao Valley State Park. Discover Maui’s thriving arts community at galleries and performance venues like the Maui Arts & Cultural Center or explore the streets of Kahului for its unique variety of shops, malls and restaurants. Get up early and head for the summit of Haleakala – possibly to see the sunrise but bring water, sun-cream and warm clothing. The long, winding road takes some time to drive up, but is well worth the effort. Spend a couple of hours exploring the various lookout points. Stop in Makawoa home of the Hawaiian cowboy, or paniolo and meander through the eclectic shops, boutiques and art galleries. Further downhill you’ll discover the historic town of Paia on Maui’s north shore. Grab a fish burger at the popular Paia Fish market, then head to Hookipa Beach, the “windsurfing capital of the world”. Start your drive along the legendary road to Hana only 83 kilometres (51 miles) from Kahului, however the drive can take anywhere from two to four hours to complete since it consists of narrow one-lane bridges, hairpin turns and incredible island views. The Hana Highway (HI-360) has 620 curves and 59 bridges. The road leads you through flourishing rainforests, flowing waterfalls, plunging pools and dramatic seascapes. There are plenty of opportunities to stop and enjoy the lovely views, so get an early start and take your time on your drive. Return your rental car to Kahului Airport. In the heart of Waikiki, and only seconds from Waikiki Beach, this peaceful hotel is your hidden sanctuary in Honolulu’s premier shopping and dining district. Just steps away you can splash in the many water activities accessible to Waikiki beach and ocean enthusiasts with views of Diamond Head. The Napili Kai Beach Hotel is a 10-acre resort on the west side of Maui, located on a white sand beach and just a short distance from historic Lahaina town, the world-class golf courses of Kapalua, dining, activities and attractions. Located on 26 oceanfront acres on pristine North Ka’anapali Beach, The AAA Four Diamond Westin Ka’anapali Ocean Resort Villas offers guests a unique blend of resort and villa-style living. Package rates may not be applicable over special events and during Public Holidays – rates are subject to confirmation at the time of booking. Refer to our Booking Conditions for full details. No cost option: If coming off a long-haul flight we can arrange seat in coach transfers on arrival in Honolulu to your hotel. The rental car can be picked up on Day 2 in Downtown Waikiki and dropped off on Day 4 at Honolulu Airport. Alternative options available with no rental car on Oahu but additional costs may apply. Extensions of stay available, likewise Accommodation upgrades and Rental Car options. Rates are subject to change at any time without any notice. Special Offer Hawaiian Islands Fly-Drive Deal. Valid for departures 20 Oct 2014 to 12 Dec 2014. Alternative departure dates available for a supplement. On sale until 30 Jun 2014. Alamo Rent-A-Car; Compact Vehicle including unlimited mileage, collision damage waiver, extended protection, sales tax, state tax and airport fees. Items of a personal nature i.e. telephone calls, laundry, liquor etc. Optional tours and activities if mentioned in the itinerary. Mandatory Daily Resort Fees and Facility Fees not included in the pricing and will be advised at time of booking. Hawaiian Airlines; First 2 checked bags are US$17 each. Bags over 50lbs are subject to US$25 surcharge per bag. Bags over 70lbs not allowed. Island Air; Baggage Allowance is 50lbs per bag. First bag checked US$15, second is US$30.00. A good time but maybe some considerations. 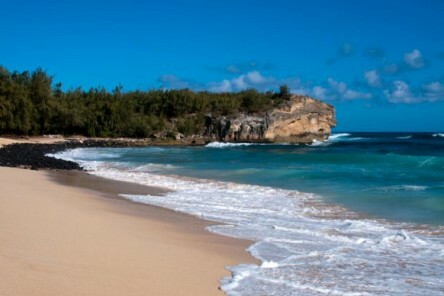 Best Beaches, Most diverse Island!